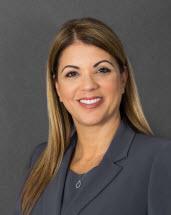 Mrs. Dickman is Cuban American born in Puerto Rico and raised in South Florida. She is a seasoned civil litigator for both defense and plaintiff, as well as an accomplished negotiator with a proven track record at settling cases. Ody earned her associates of arts degree from Miami-Dade College (1993), her Bachelor of Arts from Florida International University (1996), and her juris doctorate degree from Nova Southeastern Shepard Broad Law Center (1999). She was admitted to the Florida Bar in 2000. While attending law school in the evening, Mrs. Dickman worked at the Florida Department of Children and Families in Miami, Florida advocating for disadvantaged persons, particularly children and the developmentally disabled. Ody relocated to Naples in 2005 and as a board member, continued her concern for impoverished persons at the Hunger & Homeless Coalition of Collier County. Mrs. Dickman is the Firm’s administrator and leads client development initiatives.